The transatlantic trade of the eighteenth century was the lifeblood of European empires. The Dutch, Spanish, French, and British nations all relied on the goods and people moved across the Atlantic to generate wealth. This wealth came at the cost of labor, unfree and otherwise. In the 1764-1765 voyage of the brig Ospray, a slaver, we have a remarkably typical voyage through all the major points in this system. Ospray was a Newport, Rhode Island based brig rigged vessel. Her captain Nathaniel Potter appears to have been experienced in intercolonial trade on his side of the Atlantic, based on various newspaper references to his voyages, but it appears this voyage was his first across the Atlantic. Within the British Atlantic, the English dominated the slave trade. American colonists throughout most of North America relied on Liverpool slavers to deliver Africans. The most notable exception to this was Rhode Island. Newport and Providence funded, built, and crewed slavers to the West African coast regularly, and it was a profitable trade. Along with his first mate Richard Champlin and six other sailors, Champlin sailed out of Newport on April 23. Most likely, the Ospray called in Britain and probably Madeira or the Azores on her way down to Africa. Four months had passed before she finally arrived and began trading at Cape Coast Castle, a major slave trading fort on the shores of what is now Ghana. The imposing fortress still stands today. Cape Coast Castle, photograph by David Ley, Wikimedia Commons. The small crew of Rhode Islanders loaded about one hundred enslaved people aboard their brig over long months. It is unclear precisely why they remained in Africa so long, but the delay took its toll. Captain Nathaniel Potter died aboard the Ospray sometime before their departure. When she finally put Africa to her stern, Ospray made the crossing to Kingston, Jamaica, where she sold the surviving eighty or so enslaved people. Although I don't yet know what cargo she took on, sugar was the cash crop of the time, and the most likely to have been taken aboard the Ospray. Champlin, who had taken command after the death of Potter, remained in port from February through the early days of May. 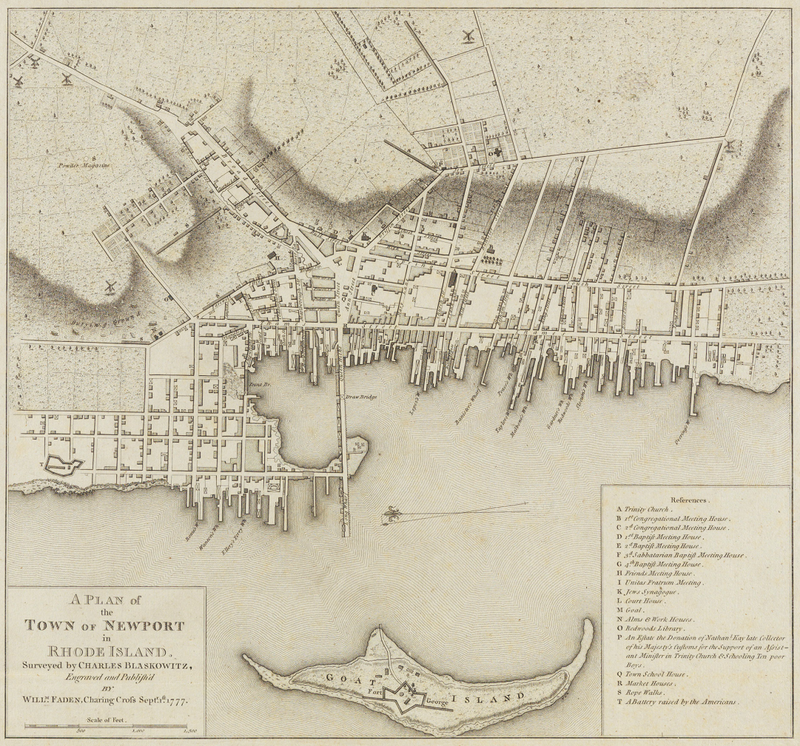 From there it was a speedy return to Newport, Rhode Island. For the first time in well over a year the sailors were returning to their homes and families. In this hope they were thwarted by the frigate Maidstone. The Royal Navy had tasked the Maidstone to enforce the Navigation Acts along the North American coast, and in her pursuit of smugglers the frigate required men. Second Lieutenant William Jenkins pressed the sailors of the Ospray into naval service. This act so enraged the people of Newport that they rioted and burned one of the Maidstone's boats. 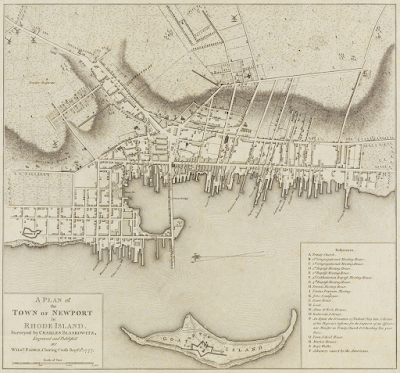 A typical voyage came to an unusual end, an end that will be explored on August 27th at the Newport Historical Society's event "Naval Impressment: A 1765 Reenactment in Colonial Newport." I'll be there to talk about life at sea and maritime navigation of the eighteenth century, so stop by and say hello! Thanks so much for this profile of the Osprey, Kyle! Leaves open new areas for inquiry and others for interpretation, but a solid amount of information available nonetheless.